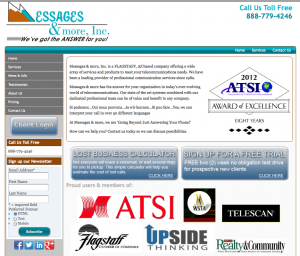 Comments At Messages & more, Inc., we are ‘Going Beyond Just Answering Your Phone!’ How can we help you? Contact us today so we can discuss possibilities. Click our screenshot to go direct to our website for more information.